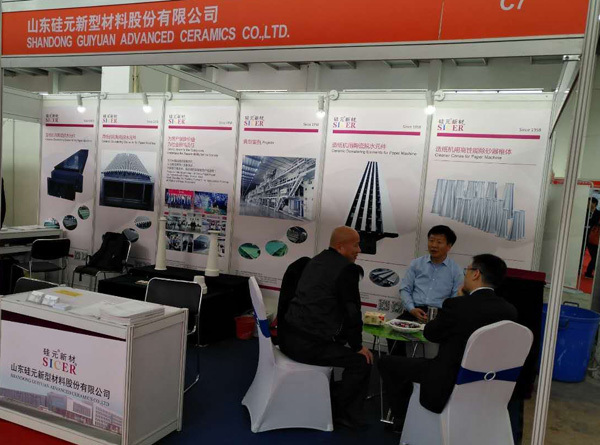 October 17-19,SICER participated in 2017 China International Specialty Papers Expo & Conference (CISPEC), which was held in Quzhou conference and exhibition center, Zhejiang, China. 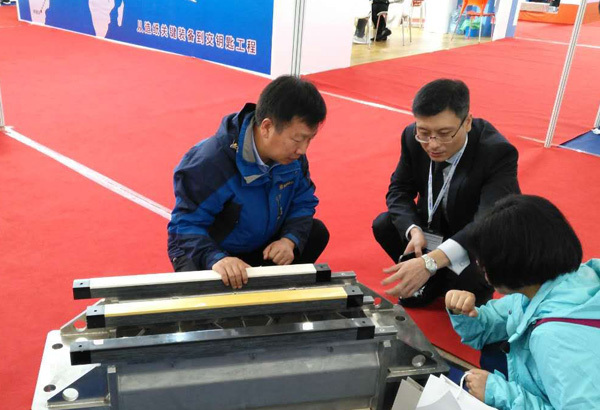 In the exhibition site, Sicer mainly showed her special wear resistant ceramic parts for paper machine, including high-end dewatering elements with matching 316L&304-2B s.s. box, various cleaner cones,etc. 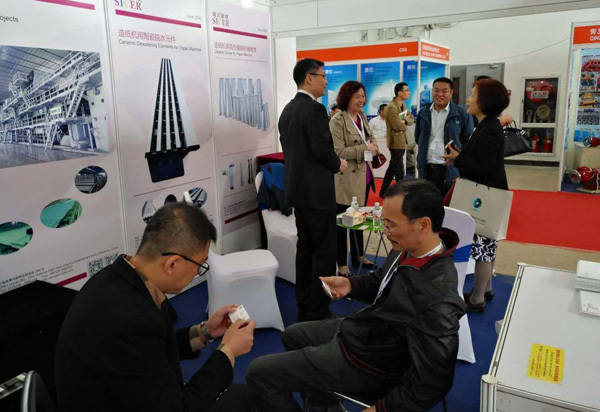 Not only the brand of SICER, but also her high product qualities and excellent services attracted a large number of new and old customers, they gave their high evaluations of Sicer products and put forward valuable suggestions. SICER focuses on the research & application of inorganic non-metallic materials for nearly 60 years, which plays an irreplaceable role in promoting the localization of dewatering elements used on high speed and special paper machine. Dewatering elements from SICER is overall matching for multiple production lines of a special paper company, which energy saving is very effective. She successfully broke the situation of only using imported ceramic dewatering elements in this field. Sicer’s new industrial zone of 24000m2 speacial for the paper industry has being put into use. It has series of sophisticated equipments, including powder granulators, super-huge isostatic presses, Automatic kilns,CNC machining center,etc. Warmly welcome all friends to visit and guide !